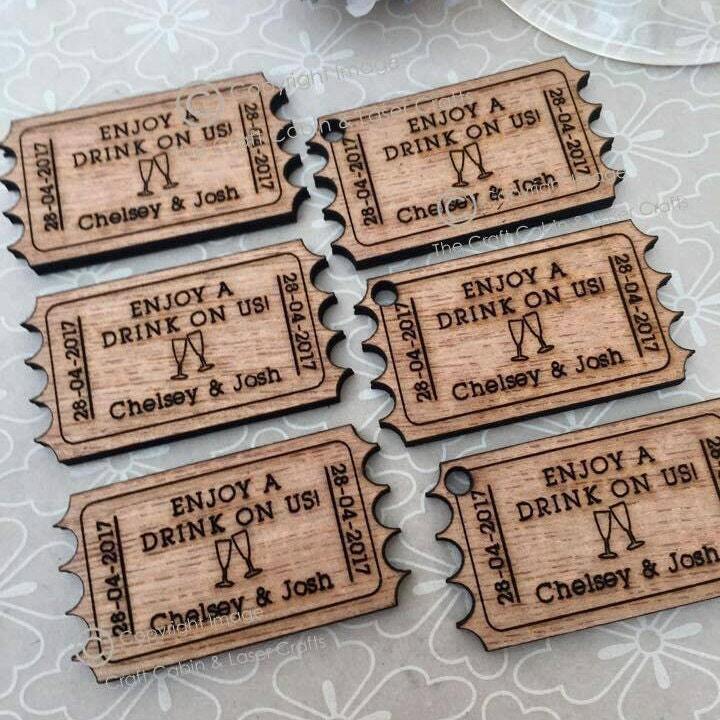 Personalised Wooden Old Fashioned Drink Ticket Tokens. Wedding Favours, Table Confetti, Party Decorations. Vintage, Rustic, Retro. 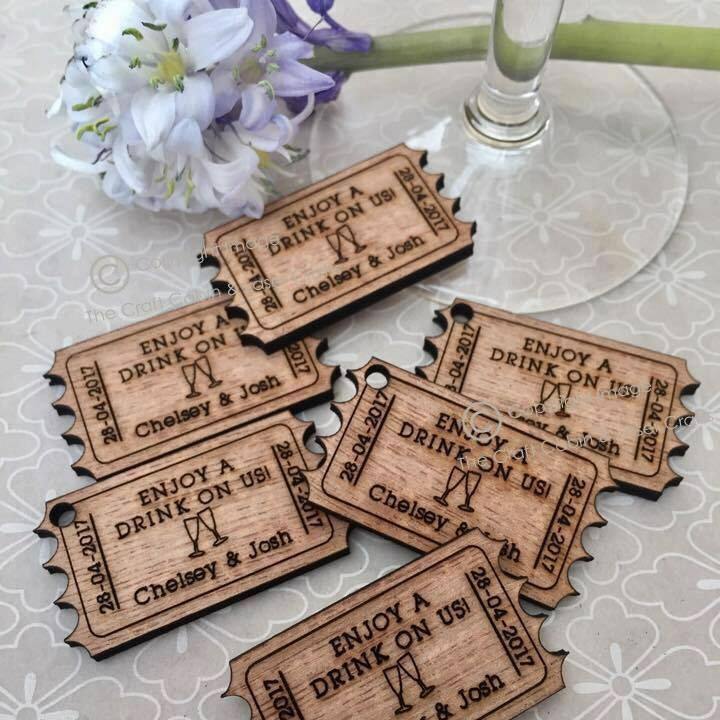 Beautiful Personalised Vintage-Style - "Enjoy a drink on us" ticket tokens. Suitable for weddings, parties, anniversaries, engagement, birthdays etc. Each one is personalised with two names OR Mr/Mrs etc, and a date either end. Approx: 44mm x 22mm - 3mm depth. Please allow 5-15 working days for engraving and dispatch of goods. ✦ Names and date; Please note* we will copy and paste exactly what you request. your order within 5-10 business days.